The leaves are turning and there's a chill in the air - It's officially fall and officially Fasterkatt season! For the 2014 - 15 season, we've made some great updates and improved the overall design. To accommodate a larger variety of foot shapes, we've adjusted a few key areas to allow more stretch and easier zipper use. We focused on the zipper - we wanted to ensure a lasting zipper that would be easier to use and still provide the water resitance you need in this shoe. That's why we upgraded to a larger and tougher #8 YKK Water Resistant Zipper. To assist in the longevity of the zipper and relieve the pressure put on the zipper in previous models, we've added vertical volume to the outer shell. This will better accomodate tall arches. Another design element that will relieve pressure on the zipper closure is the reduced inner boot height. 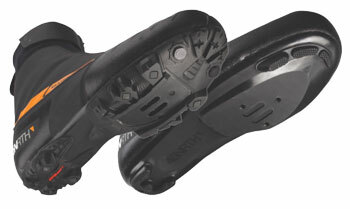 We've reduced the height to decrease the volume of the inner boot and provide a better, more comfortable fit. We've added a 3-bolt compatible version for road cycling with all the great features of the MTN version. We've extended the sizing range and now offer sizes 36 and 37! Fasterkatts will be available at stocking dealers in early October.